German new-space company PTScientists has been selected as one of the commercial companies taking part in ESA’s innovative study to develop potential lunar missions that could make use of resources found on the Moon. The Lunar Mission Definition Study aims to find out whether the Agency could conduct a Moon mission by utilising lunar services, such as payloads and delivery to the Moon, developed by commercial partners. These capabilities are already being developed by the private sector and should be available to ESA by the mid-2020s. The space industry is evolving, with a more diverse range of actors in the sector, from private companies to industry, academia and individuals. As part of the Agency’s push towards “Space 4.0”, where space is no longer the sole preserve of government agencies, ESA has selected six companies to work on potential mission designs. PTScientists is delighted to have been selected as one of the companies for the transport segment of the study. ESA has a strong interest in testing and maturing lunar ISRU (in-situ resource utilisation) technologies to produce drinkable water or breathable oxygen in support of future sustainable human Moon missions. The Lunar ISRU Demonstration Mission Definition Study is a step towards this and will also help to foster commercial lunar services. “The emergence of new-space companies around the globe has opened up the space sector to new players, and while the US has been leading the way in terms of public and private space working together, it is great to see this trend picking up speed in Europe” says Robert Boehme, CEO and Founder of Berlin-based PTScientists. PTScientists wants to bring down the cost of lunar exploration and science to enable a greater range of participants from across the globe. Their first mission – Mission to the Moon – will demonstrate the ALINA spacecraft and lander, and transport two Audi lunar quattro rovers to the lunar surface. They are also working with Vodafone to test an innovative 4G lunar-surface communications set-up. ESA hopes to realise a lunar mission that will test technology designed to extract useful elements from resources found on the Moon by 2025, with an industrial procurement budget below €250m. In order to realise the mission according to budget and schedule, the Agency plans to procure lunar service capabilities from the private sector for the ISRU payload delivery to the Moon surface, for lunar communications, and operations. “Commercial partnerships are playing a growing role in the exciting ESA vision for space exploration” says David Parker, ESA Director of Human and Robotic Exploration. “Actions underway already include new ways to increase the use of the ISS. In future, procuring services from industry alongside international cooperation could allow ESA to move faster in our planned exploration of the Moon”. PTScientists is a German private space company, headquartered in Berlin. They aim to be the first private mission to land on the Moon. PTScientists is working with Key Technology Partners Audi (on the Audi lunar quattro Moon rover) and Vodafone Germany (for lunar surface communications). They will carry a range of scientific and artistic payloads to the Moon and conduct technology demonstrations on the lunar surface as well as visiting the Apollo 17 lunar roving vehicle. 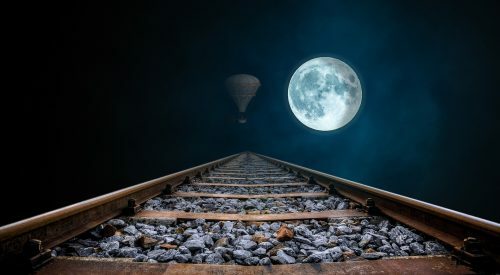 PTScientists wants to become the go-to transport and communications infrastructure partner for future public and private missions to the Moon.